Crazy place to play baseball. 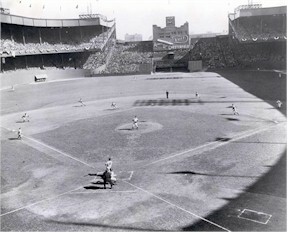 The Polo Grounds was shaped like a horseshoe due to land constraints. 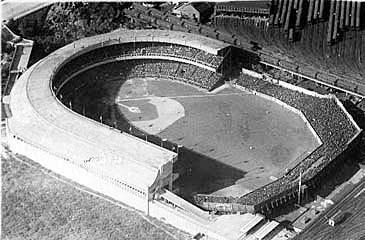 The fences down the left and right field lines were just 258 feet from home plate, by far the shortest fences in baseball (Yankee Stadium's famous "short porch" in right field is 314 feet from home plate by contrast.) The center field fence, on the other hand, was 440 feet from home plate. Players knew that they only needed to hit a pop fly down the line and they could get a cheap home run.